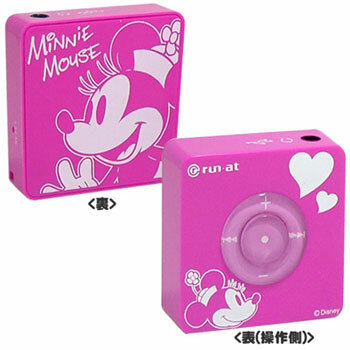 Over in Japan, Ranut is releasing a line of Disney-themed portable music players built around 256MB of flash memory. Granted, 256MB can effectively be rounded down to 0MB for most of us here, but your kids might still get a kick out of it. Other than being branded with familiar Disney characters like Minnie Mouse, it's pretty much a bare-bones, by-the-numbers MP3 player. Oh, and supposedly it only works with Windows. Looks like a winner for sure. In this iPod and (if Microsoft has its way) Zune-dominated world, is there any room left for the little guy, especially when it relies on cartoon characters to generate sales? I'd take the under, personally.